The young boy at the right in this 1920‘s photo is Robert Work, who held onto his original 1886 property certificate from the West Michigan Park Association. This 1920’s photo shows him with his brothers and sisters in front of the Work family cottage on Terrace Avenue, the upper boardwalk. The coaster wagon was not just a child’s toy; it was a common means of hauling household items from the automobile parking lot to the cottages. The big oak tree still comes up in the middle of the boardwalk to shade the Work family cottage. 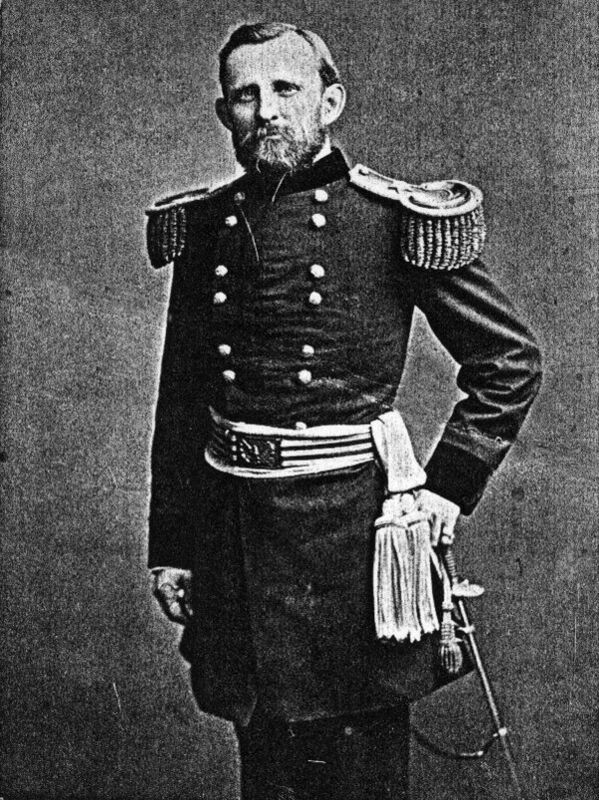 During the Civil War, at the battle of Stone River, General Lewis Heath was injured and he lay in a pool of water for some time and developed pneumonia. That was the end of his military career and he returned to Grand Rapids where, following some years of ill health, he was engaged in several businesses including haberdashery, furs, insurance and the making of whist boxes. He had attended Hiram College where he struck up a friendship with James Garfield who would later become president of the United States. Lewis Heath was very active politically, and he made the hat Mr. Garfield wore at his inauguration as the 20th President of the United States. Mr. Garfield was wearing the same hat when he was assassinated on July 2, 1881. 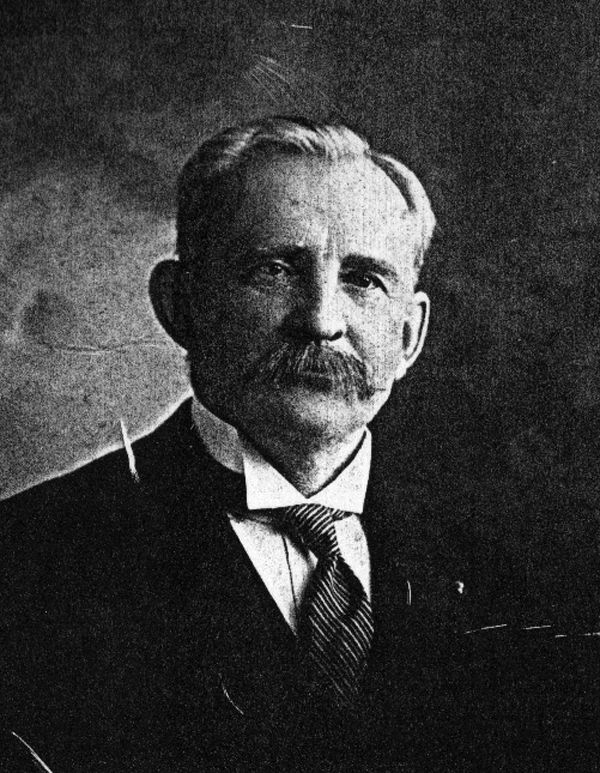 The Garfield family returned the hat to Mr. Heath in Grand Rapids. His grandson Lew Heath can remember playing in this famous hat, which now resides in the permanent collection of the Public Museum of Grand Rapids. Mr. Heath died on October 1, 1911 at the age of 74. In August of 1910, a fire destroyed the Dutton, Steinhardt, Ross and Bates cottages which were among the Lake Michigan lakefront cottages on the north end of the neighborhood. In this composite picture, these cottages may be seen in the background. The little boy holding the hands of two ladies is Edward Wells, who spent over eighty summers at Ottawa Beach. Another unforgettable character first came to Ottawa Beach in 1886 when he was 35 years old. J. Boyd Pantlind came to Ottawa Beach to look at the brand new Hotel Ottawa and immediately made plans to own and operate this resort hotel. 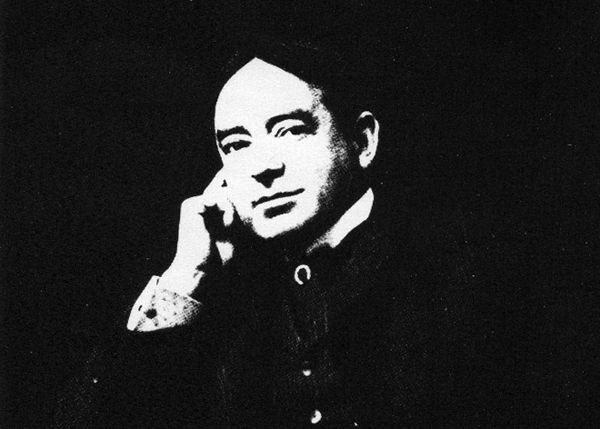 After the turn of the century, he first leased and in 1913, he bought the hotel from the financially strapped Pere Marquette Railway. The Pantlind family lived in a cottage built adjacent to the hotel annex atop the bluff overlooking the main hotel and Macatawa Bay. Mr. Pantlind either bought or leased this cottage from Charles Heald of the Pere Marquette Railway. Starting in the 1950s, Ottawa Beach was a great place to spend ones summers as a young Baby Boomer. In this 1962 photograph, Charles B., Marcia B., Dan A., and Pam W., play cards as Mike M. holds the football. 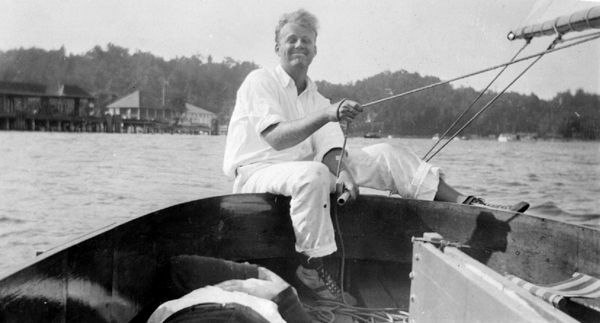 Life for the cottagers was sprinkled with special events. A barn dance held in 1931 attracted many cottagers including Katherine Pantlind and Edward Wells. 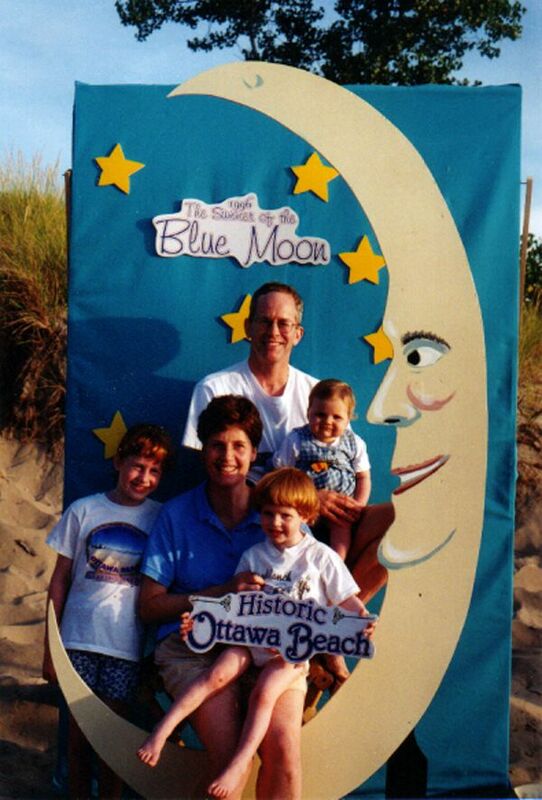 This picture is from a 1996 special event to mark a rare summertime blue moon by posing some of the neighborhood families in the manner of old “paper moon” arcade photos from the 1920’s and 30’s.